The new ships – accorded the project name ‘Breakaway Plus’ – will be the largest in Norwegian’s fleet. At 163,000 gross tons and approximately 4,200 passenger berths, the vessels will be larger than the previous 146,000 gross ton Breakaway-class ships ordered at Meyer Werft in 2010, but will incorporate many of those vessels’ unique design elements and innovations. 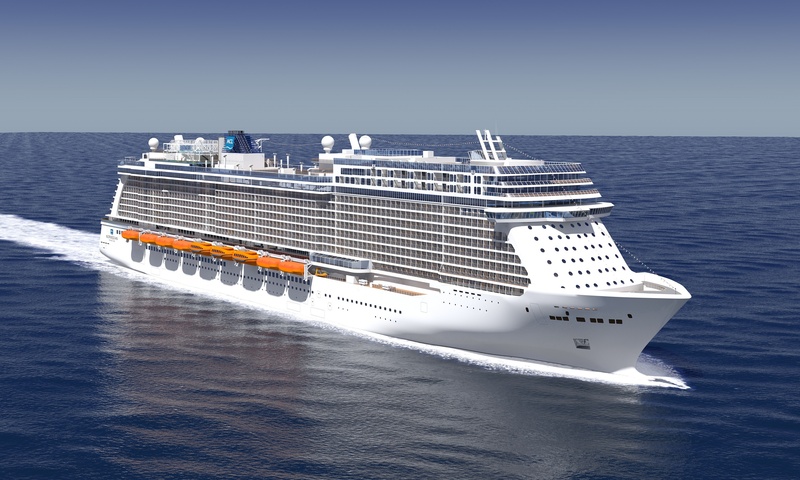 The Breakaway Plus vessels will each be powered by five engines – 2 × 14V + 3 × 12V48/60CR Tier II types – capable of delivering 76,800 kW, compared to the four driving the Breakaway-class ‘Norwegian Breakaway’ and ‘Norwegian Getaway’ vessels. The five engines will operate with MAN Diesel & Turbo’s well-proven, state-of-the-art, common-rail injection system that is suitable for both heavy fuel oil and distillate fuels. This technology, developed in-house by MAN Diesel & Turbo and fully optimised for its engines, provides superior performance in terms of fuel consumption and smoke emissions, especially at part load. The newest member of the Norwegian fleet, Norwegian Breakaway, entered service at the end of April 2013 and features a 2 × 14V + 2 × 12V48/60CR Tier II engine configuration with 62,400 kW of installed MAN power. With accommodation for 4,000 passengers and New York as home port, the cruise ship will sail to Bermuda for the summer and the Bahamas and Caribbean in the winter. Construction of Norwegian Breakaway’s sister ship –‘Norwegian Getaway’ – is well underway with delivery scheduled for January.